Legal Services of Eastern Michigan is a non-profit law firm that provides free civil legal assistance to low-income people. Its mission is to use legal skills to address the causes and effects of poverty. Special emphasis is placed on those issues that affect survival needs of low-income people. 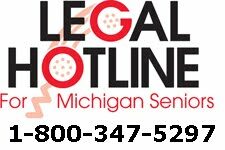 Legal Hotline for Michigan Seniors provides basic, personal legal advice and information over the telephone to older adults in Michigan. Sign this form and give it to a babysitter, relative, school chaperone or anyone who is responsible for your child while you are away. That person will need to present this form to receive medical, dental, or hospital care for your child if you cannot be reached.